After my friend, Ernie Kale, and I explored the Hobcaw Barony (see Hobcaw Barony Gallery), we spent the next two days exploring the area around McClellanville, SC, and discovering the Huntington State Beach Park, which is located on the coast south of Myrtle Beach. 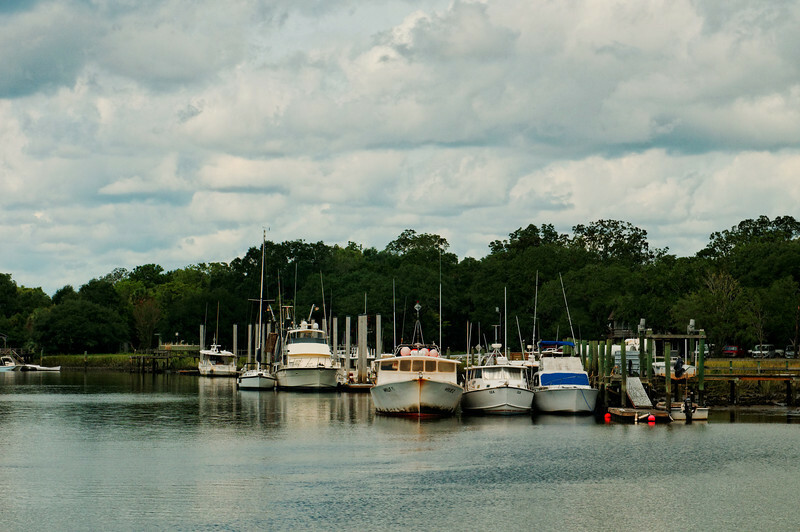 McClellanville was hit hard by Hurricane Hugo in the 80s. While there we met John and Jim, two local fishermen whose pictures are included here. The told us about bait fishing for shrimp and advised us about a number of places to go in the area for good pictures. We enjoyed talking with them and are always amazed at the friendly, interesting, and helpful people we meet on our safaris. The Huntington Beach State Park is an excellent park for camping. It hosts a large bird population, along with alligators, spiders, Egrets, Herons, and other birds. It is worth a visit if you are in the area.